Today I was doing some routine browsing, and suddenly this appeared. 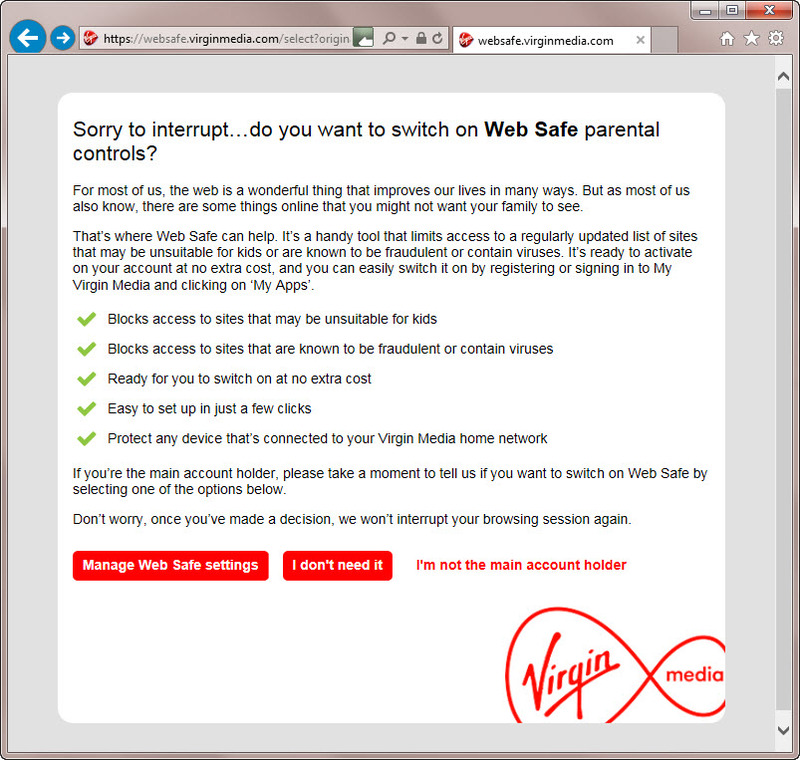 My ISP, VIrgin, interrupting my browsing to offer me stuff including some additional virus protection. Well, I certainly have no objection to extra measures to protect me from bad websites, so after reviewing the page and – yes – checking that https URL to make sure this page wasn’t itself a hoax, I clicked the ‘Manage Web Safe settings’ button. Only to be rewarded with this. 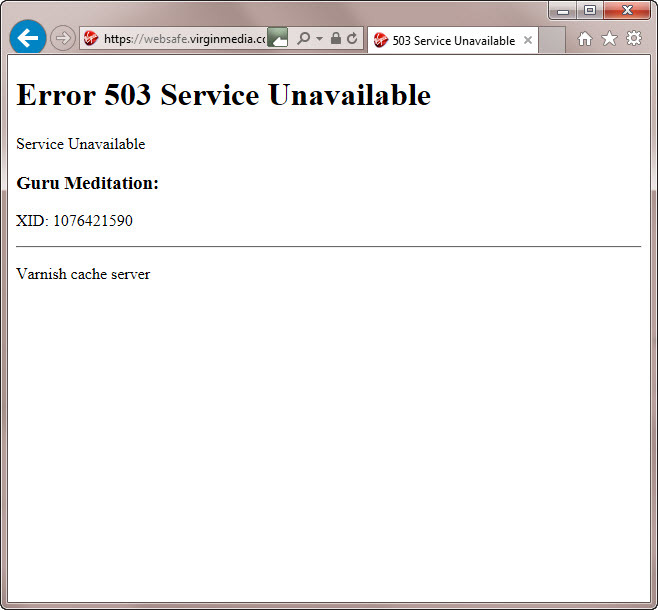 Does doing guru meditation actually provide virus protection? Is there something spiritual and life changing that I need to know here? What is the benefit of varnishing a cache server? And would I get the same benefit if I varnished my laptop? Further investigations are clearly called for. Guru Meditation is an error notice displayed by early versions of the Commodore Amiga computer when they crashed. It is analogous to the “Blue Screen Of Death” in Microsoft Windows operating systems, or a kernel panic in Unix. It has later been used as a message for unrecoverable errors elsewhere, such as Varnish, a reverse proxy, and HTTP accelerator, and VirtualBox, a Hypervisor environment. I confess to some disappointment that the explanation is so mundane. Next Post Big-Endian vs Little-Endian: How Do You Remember Which is Which?